With the right leadership, group therapy can be the key to addressing and solving life’s most perplexing problems, making way for turning a bad situation around. Group therapy usually includes discussions among five to fifteen people led by a psychologist or psychotherapist who is trained and skilled in counseling people in group settings. Almost always, the members of the group are suffering with the same issue. It can be drug abuse, depression, alcoholism, a phobia, anxiety, loneliness or countless other difficulties. Other times, the problems are job related. Emergency workers, for example, often suffer from enormous stress from working on scenes that involve the critically injured and dying persons. Meeting with others, in a setting where discussing the emotional trauma is encouraged and accepted, can give an enormous relief, while enabling the professional to continue working in their chosen field. Although private therapy is available, many people are surprised to discover that group counseling is measurably rewarding to them. Group counseling can have all the benefits of private counseling – plus more. Most importantly, participants realize that they are not alone. They learn that their problems are not unique or devoid of proven solutions. The theme of the group is an important consideration. For example, a person suffering from schizophrenia may not be helped if other group members are wrestling with alcohol addiction or job-related stress. It’s important that all members in the group are struggling with the same problem or addition. It is even more beneficial if the group leader has lived through this type of challenge, went through group rehab and successfully overcome the the problem. Often a person feels alone in their unhappiness or grief. Group counseling reveals in a very tangible way, that the sufferer is not alone and that it is possible to solve the pressing problem that drove him or her to seek help in the first place. Sometimes a person is at a loss for a solution to their problem. Being close to a problem can block their view to the options that are available to them. Group counseling offers the opportunity for interpersonal learning where others can suggest solutions that are out of the box or proven to work for them. Talking about a problem in a safe setting is very therapeutic. Rather than explaining a problem to friends or family who don’t understand, group counseling offers an environment where listeners can relate all too well to each others challenges. Group settings also teaches members how to verbally express their problems and feeling. Hearing their own dilemma described by another person who is having a similar experience allows members to clarify and express their own emotions and fears. Whereas before attending group meetings a person may feel isolated, overwhelmed and hopeless, this type of support can vanquish those emotions, replacing them with understanding, strength and hope. Once a person decides on a course of action, the group is there to encourage the action, coupling it with understanding and support. The experience shared by members of the group can provide welcome encouragement as members move from feeling trapped to implementing solutions and finding freedom. It can be a great relief to hear members of the group echoing common obstacles and life challenges. It’s comforting to know that these challenges are part of life’s experiences and they they do not have to face their problems in isolation. A significant benefit of participating in group counseling is the help a person gets to face the truth about themselves and their situation. Learning to speak honestly and openly in a safe environment can give a participant a wonderful sense of empowerment to facilitate grow in a healthy direction. In a structured group, there are not just suggestions from other group members. The trained group leader shares knowledge about proven strategies that have worked for others in the past. Members do not have to try hit or miss approaches to their problems when there are workable solutions available. Helping others has also been proven to be a healing experience. Group members often demonstrate empathy for others who are going through painful experiences similar to their own. Reaching outside oneself in an altruistic way to help another person can produce valuable, lasting change in both people. Group participation can provide the type of accountability that challenges its members to follow through with strategies that lead to recovery, positive life changes and personal growth. 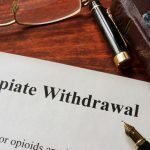 In the case of substance addiction, group sessions can be particularly helpful because fellow addicts can recognize traits that enable addition. Addicts are good at denying their own destructive behavior. However, other addicts are equally good at recognizing and calling out another addict’s self-destructive behavior. Some patients prefer a small group environment because it allows for more individual attention. Large groups, on the other hand, provide a wider diversity of members who may offer more support and many additional insights for solutions. There are also closed and open groups that can be part of inpatient or outpatient treatment. With a closed group, all members join at the same time and often commit to a specific time frame, such as a 12-week program. In open groups, people may join at any time and there may be no predetermined ending date. If a person’s problems are relationship based, either group type can help develop better interpersonal skills. In short, group counseling is worth exploring regardless of the problem to be overcome. A doctor can help locate the various groups in the area. Finding understanding, support and solutions is available to people willing to try the group counseling option.